Ah, London in the springtime. The sun stops by to flirt, but won’t commit to keeping us warm and dry. But don’t give in to the (very reasonable) temptation to hide indoors. Instead, pack sunglasses and a brolly at all times, and find a solid reason to get out of the house -- like any of these killer spring events. Hit up Hawker House for Street Feast The ultimate street food round-up is back. Over a dozen stalls are being repurposed in this multi-storied warehouse space, and some of the city’s best food and booze will be represented. With everything enclosed, there’s no fear about the weather dislodging your plans -- so get ready to get sucked in and make this a proper session. 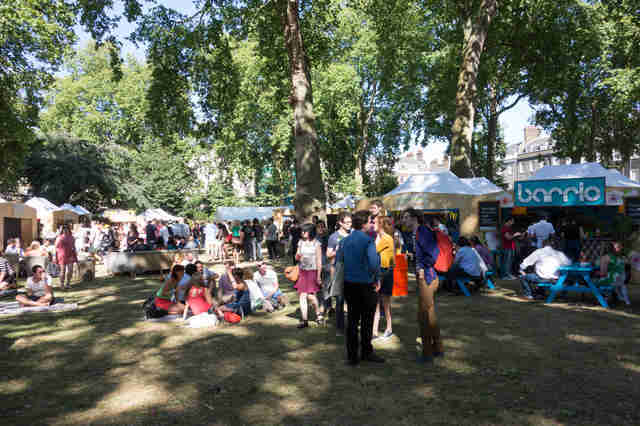 Hit up Hawker House for Street Feast Hawker House The ultimate street food round-up is back. Over a dozen stalls are being repurposed in this multi-storied warehouse space, and some of the city’s best food and booze will be represented. With everything enclosed, there’s no fear about the weather dislodging your plans -- so get ready to get sucked in and make this a proper session. 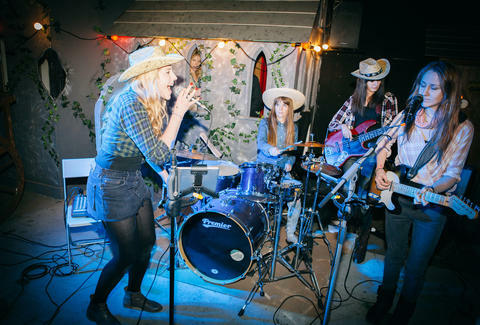 Do-si-do at Django Bango At this Wild West pop up in Bethnal Green, you can swig whisky at a classic saloon and kick up your cowboy boots at an old-school hoedown. Not surprisingly, the gang at Apocalypse Events has gone all out creating an immersive experience. While mostly a swirl of drinking and dancing, there’s also a general store for those sundries you’ll be needing, a jailhouse if you are careless enough to get caught, and a church confessional, which you’ll be sorely needing after your night out. 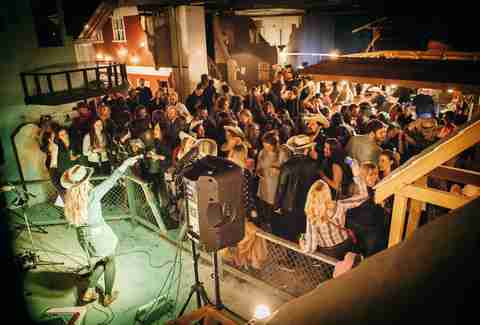 Do-si-do at Django Bango Bethnal Green At this Wild West pop up in Bethnal Green, you can swig whisky at a classic saloon and kick up your cowboy boots at an old-school hoedown. Not surprisingly, the gang at Apocalypse Events has gone all out creating an immersive experience. While mostly a swirl of drinking and dancing, there’s also a general store for those sundries you’ll be needing, a jailhouse if you are careless enough to get caught, and a church confessional, which you’ll be sorely needing after your night out. Cheer up at Cocktails in the City Cocktails in the City is back, with four floors of delicious booze, ready to spread cheer after months of winter weather. The ultimate bar crawl under one roof, this event lets you sample 20 of the best cocktail bars in the world in one night. You can stumble from the Powder Keg Diplomacy to 68 and Boston, even treading as far afield as Amsterdam’s Door 7 and Paris’s Little Red Door, all without stepping into the cold. Once you’re probably lubricated, sign up for a "drink pimping" session. Cheer up at Cocktails in the City One Mayfair Cocktails in the City is back, with four floors of delicious booze, ready to spread cheer after months of winter weather. The ultimate bar crawl under one roof, this event lets you sample 20 of the best cocktail bars in the world in one night. You can stumble from the Powder Keg Diplomacy to 68 and Boston, even treading as far afield as Amsterdam’s Door 7 and Paris’s Little Red Door, all without stepping into the cold. Once you’re probably lubricated, sign up for a "drink pimping" session. Celebrate at Number 90's Birthday Weekender Hackney play-space Number 90 -- known for its strange amalgamation of cinema, street food, artist residency, and party central -- is throwing its second birthday party this March. Their promise/threat that "your face will be covered with glitter and confetti for two weeks" should be taken seriously. They’re upping the ante this time, with four days of DJs, competitions, insta-markets, food pop-ups, unicorns, and -- of course -- a piñata. 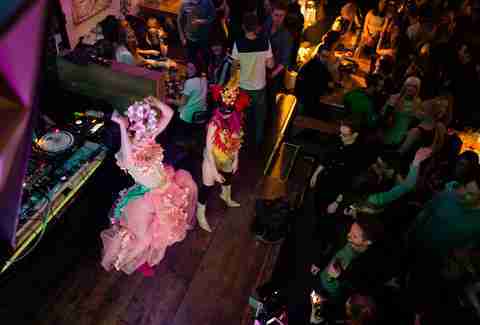 Celebrate at Number 90's Birthday Weekender Number 90 Hackney play-space Number 90 -- known for its strange amalgamation of cinema, street food, artist residency, and party central -- is throwing its second birthday party this March. Their promise/threat that "your face will be covered with glitter and confetti for two weeks" should be taken seriously. They’re upping the ante this time, with four days of DJs, competitions, insta-markets, food pop-ups, unicorns, and -- of course -- a piñata. Enjoy an Earth Hour candlelit dinner Let’s be honest: everything looks sexier under candle light (yes, even you). So reserve a spot at The Shed, or its sister joint, Rabbit, while they observe Earth Hour (an event intended to keep us mindful of energy use and environmental issues). The team has created a special, six-course tasting menu, and will be using only candles to set the mood. The twist: guests have to guess the ingredients in their feast. After all, as one of the senses gets dulled, the others have to pick up the slack -- so you have to sing for your supper a little. Enjoy an Earth Hour candlelit dinner Rabbit Let’s be honest: everything looks sexier under candle light (yes, even you). So reserve a spot at The Shed, or its sister joint, Rabbit, while they observe Earth Hour (an event intended to keep us mindful of energy use and environmental issues). The team has created a special, six-course tasting menu, and will be using only candles to set the mood. The twist: guests have to guess the ingredients in their feast. After all, as one of the senses gets dulled, the others have to pick up the slack -- so you have to sing for your supper a little. Learn about Champagne-making at Moët Academy While some might travel to France to witness the wonders of the Champagne-making process, the rest of us will have to be content to learn from some serious experts in the field. Moët has once again set up shop, helping us learn how fermentation and carbonation transform boring breakfast to boozy brunch. Here you’ll get a solid foundation on stuff like terroir, grape varieties, and blending. Plus, this year, they’ve added a virtual tour of the vineyards, so you can check out where it all begins. 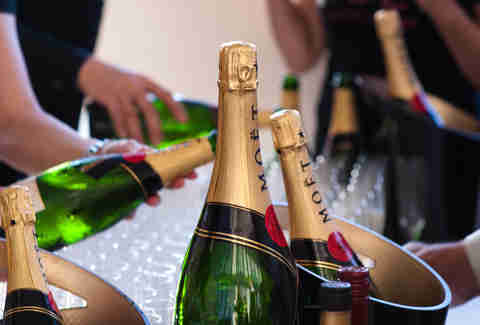 Learn about Champagne-making at Moët Academy Condé Nast College of Fashion & Design While some might travel to France to witness the wonders of the Champagne-making process, the rest of us will have to be content to learn from some serious experts in the field. Moët has once again set up shop, helping us learn how fermentation and carbonation transform boring breakfast to boozy brunch. Here you’ll get a solid foundation on stuff like terroir, grape varieties, and blending. 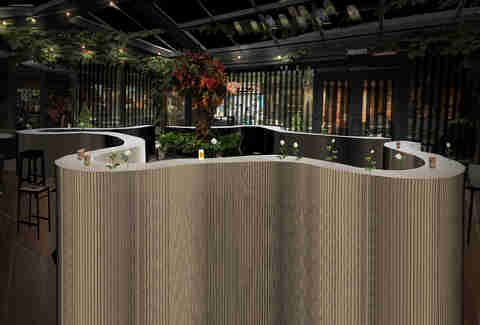 Plus, this year, they’ve added a virtual tour of the vineyards, so you can check out where it all begins. Belly up to Rib Fest Blues Kitchen in Brixton is cooking up four full days of barbecue fun times, loaded with chefs from across the UK -- including some of London’s finest street food vendors. Get ready for some serious blow-out action: musicians, DJs, a 108in smoker taking over the courtyard... you’ll be in a meat coma for a week. Belly up to Rib Fest The Blues Kitchen Brixton Blues Kitchen in Brixton is cooking up four full days of barbecue fun times, loaded with chefs from across the UK -- including some of London’s finest street food vendors. Get ready for some serious blow-out action: musicians, DJs, a 108in smoker taking over the courtyard... you’ll be in a meat coma for a week.